It's a big world out there and if you want to be noticed - be bold and get your business on-line with WebPageOz. Your web presence is very important - so get it right the first time. Let WebPageOz assist you in doing this. WebPageOz produces websites at realistic prices - You select the number of pages, we fix the price. Once the website is installed there will be no other charges other than annual/bi-annual Domain Name renewal and annual Hosting/URL Redirection costs. WebPageOz websites are built for speed. These websites employ techniques to ensure the page size is kept to a minimum for fast loading on your clients browser. WebPageOz does not charge monthly fees. 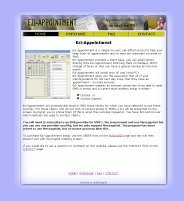 Free initial consultation (Adelaide, South Australia metropolitan area). Assistance in obtaining/renewing Domain Name Registration. Assistance regarding the Hosting of your site or URL Redirection to your ISP web space. Anti spam measures are employed in all WebPageOz websites for email addresses and forms. Catalogues / Websites on CD - amaze your customers. WebPageOz can take professional photos for you for your website (or any other reason). WebPageOz can maintain or completely reconstruct your current website for you - updates, modifications and additions. Free website analysis and report of your website. for your company or for your club. Please check the other pages on this site for information that may be of assistance. I actually use this product myself and have found it to be the only product that converts my Panasonic Blu-ray recorder files (.mts) to other video formats. 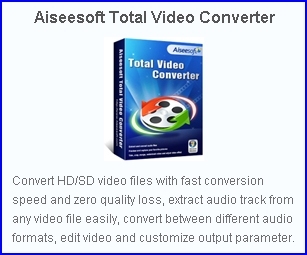 I convert the .mts files to high quality mpeg2 files suitable for creating DVDs. Ask me for the settings - if you are interested. Of course, the number of file formats that this program can convert and can convert to is exhaustive. Once you load the program, you will see what I mean. This trial lets you confirm the quality of the program and is limited to videos of 5 minutes or less. Once registered, this limitation is removed. To download the trial version of this great program, click the button above or click here or right click these links and select "Save link as" or similar. The installation is quick and easy and no other software is loaded at the same time. The program size is approx. 26Mb. The cost to register the program, in Australian dollars, is less than $40.00. You can register your trial version simply within the program. Looking to feel more relaxed when you work or play ? Halotea has a built-in audio player, recorder and scheduler. No tapes or CDs - just run the program in the background with your favorite selection. You can even add your own sounds. but download and try before you buy ! 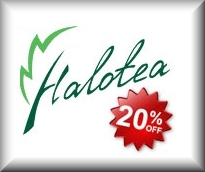 * While buying Halotea, you will be asked for an ID Installation - the code that appears when the unregistered version of Halotea starts. It should look like "MH2-xxxx-xxxx-xxxx". Please copy it carefully to "Additional Information" section on the form for successful registration. "Installation ID" required - See note above* - Install Trial Version first. This software can be used to produce unique background tracks for you latest video/DVD creations. The track recording time can be adjusted so that no trimming is required.. Check it out at the Mirolit website. FREE WEB HOSTING AND FREE DOMAIN ? GRAPHICS.COM ask you to vote for this site!